The EU Dog & Cat Alliance applauds Belgium for leading the way in Europe by establishing a new animal welfare group, BelgPAAG (Belgian Pet Advertising Advisory Group), designed to tackle the increasing and high risk sale of pets online. The EU Dog & Cat Alliance is calling for more attention to the rising issue of the online sale of pets, and has been working with NGOs across Europe to play their part by establishing PAAGs in a number of EU countries. The vast majority of websites which sell pets in the EU are completely unregulated in more than three-quarters of Member States. The newly established BelgPAAG met for the first time on Tuesday 20th June in Brussels to discuss how to tackle unscrupulous dealers who trade pets online. This trade poses risks to pets being traded and consumers, who have very little protection from rogue sellers. Animals which have been illegally bred and traded can carry diseases such as rabies or Echinococcus multilocularis, which can be passed on to humans, or have genetic disorders which consumers are not aware of at the time of purchase. PAAG has been established in Ireland and the UK for more than 15 years, and has led the way in encouraging marketplace websites to adopt a set of minimum standards to help regulate the online sale of pets by assessing adverts and flagging suspicious ones, and it is hoped this will spread across Europe. “Historically anyone wanting to buy a pet would skim newspaper adverts or speak to friends, however today there are thousands of adverts placed online every day advertising animals. PAAG has developed a set of minimum guidelines for online host sellers to help highlight the suspicious adverts, which we are thrilled to have high-profile websites signed up to. 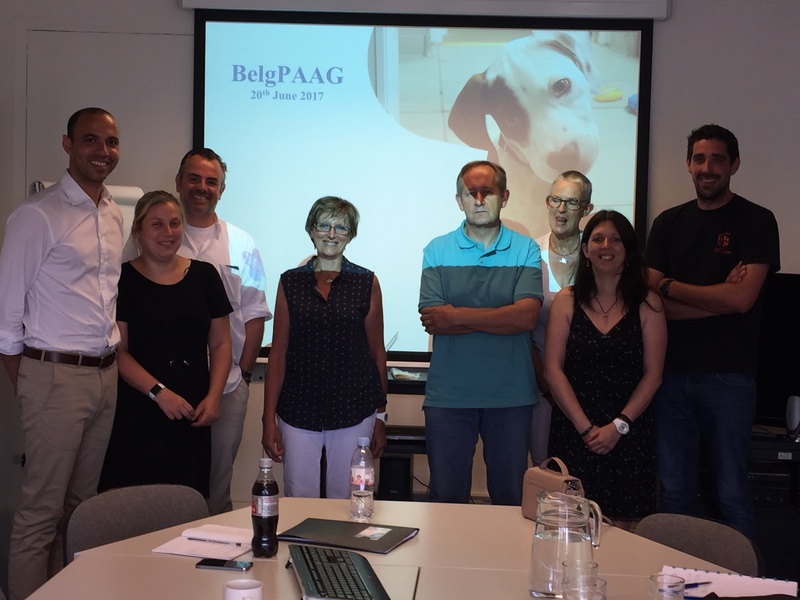 The inaugural BelgPAAG meeting was chaired by Marleen Elsen from Chaine Bleue Mondiale, who is also the Chair of the Belgian Animal Welfare Council and BelgPAAG. "We are thrilled to be among the first EU countries to launch a group focused on improving animal welfare standards in online advertising. BelgPAAG was met with enthusiasm in the Belgian animal welfare community, and we look forward to working with colleagues across the EU in creating voluntary and visionary standards for online sales." With Estonia taking over Presidency of the Council of the EU in July and their focus on e-commerce, the EU Dog & Cat Alliance is calling for the development of further PAAGs across the continent to help drive forward positive change, and for consumer protection legislation to be tightened to reflect the huge increases in online sales of animals.